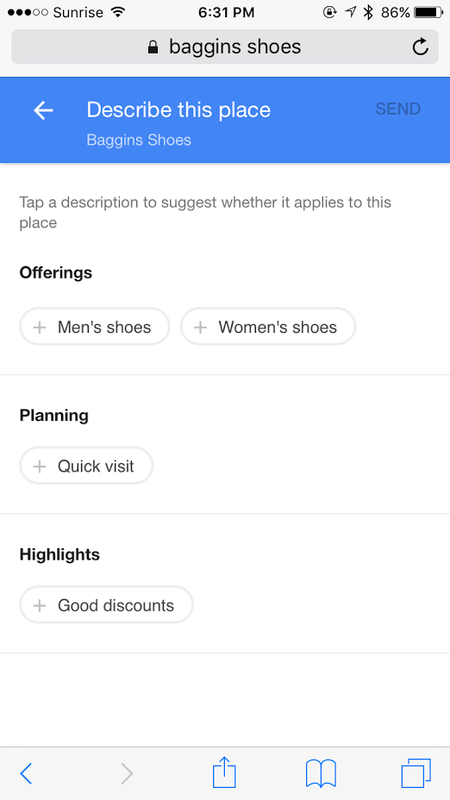 Google is asking searchers for features feedback on local businesses displayed in the search results, and then tag appropriate keywords associated with the business. Here is what it looks like in the local knowledge panel for a business. Suggest how to describe its features and atmosphere. 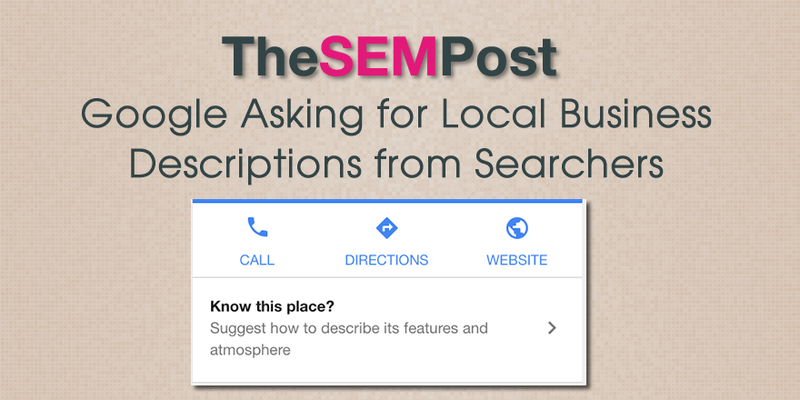 Searchers can then click through to descriptions for the business. Here are the options. 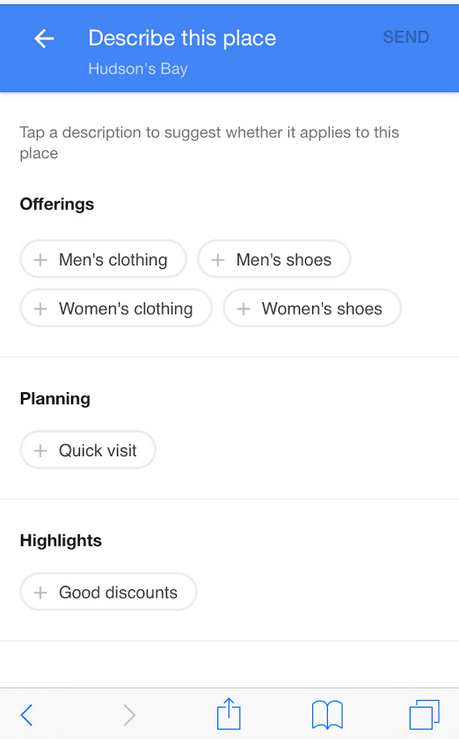 For this business, Google is asking for feedback for “Offerings”, “Planning” and “Highlights”. There is no option to submit your own additions for the business, but only to confirm the ones that Google has listed. Here is another example, with many more options a searcher can select. It isn’t clear where Google is getting the information they want searchers to confirm, although it does not seem to be pulling keywords from reviews. It is possible it is coming from categories chosen by the business, although that wouldn’t contribute to the second two options. There is the possibility that Google is testing this with fashion retailers, as I couldn’t trigger any for non-fashion related businesses. But not all fashion retailers are showing this option either. The fact Google is only asking for confirmation, rather than allowing searchers to submit their own descriptions, means that local businesses won’t have to worry about their competitors submitting poor keywords or descriptions for their businesses. 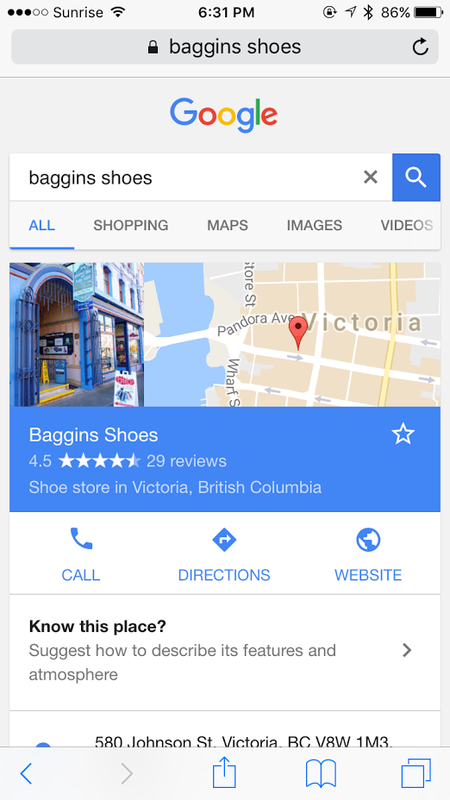 It is worth noting that these are for businesses that already has a full local profile showing in the Google search results, complete with social media links and reviews. I can only seem to get this test to trigger on mobile, but it is an international test.